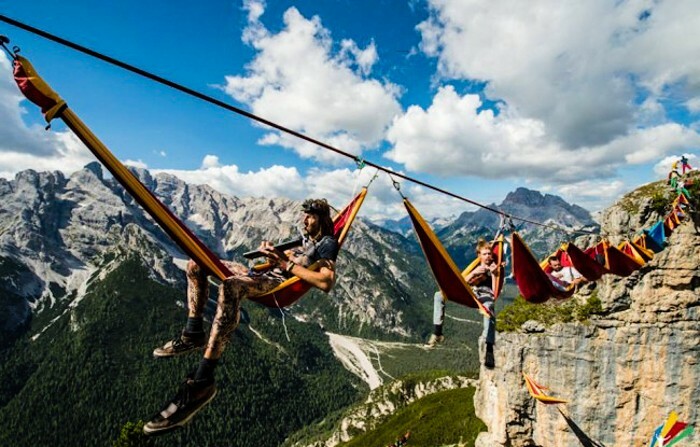 For thrill seekers and adrenaline junkies with serious guts, the International Highline Meeting is probably a high point—quite literally. 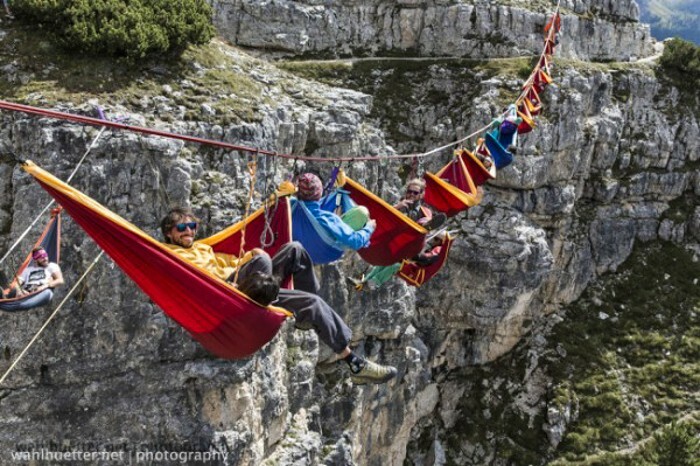 It's an unusual and unique festival where attendees spend most of their time strung up on tightropes that stretch across the Italian Alps in Monte Piana, hundreds of feet above the ground. 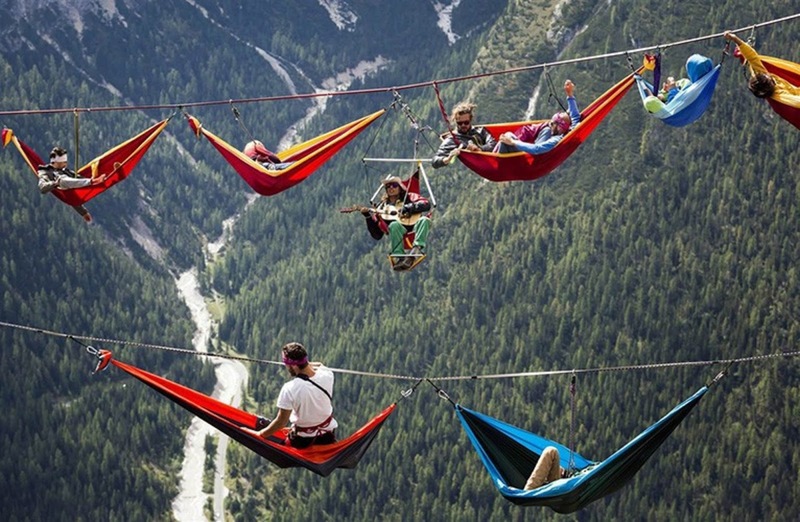 Attendees of the festival call themselves "slackers," after the slacklines they use to hold up the hammocks. 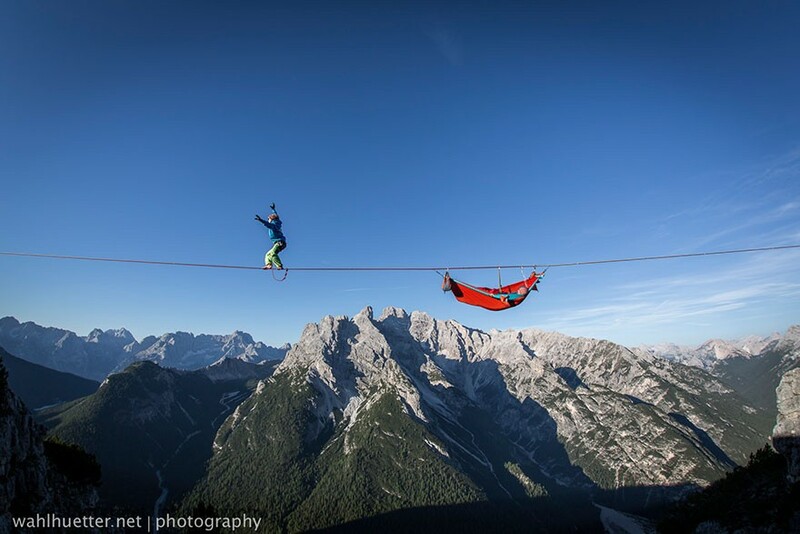 It's extreme as far as these types of activities go, but it's not quite as dangerous as tightrope walking. 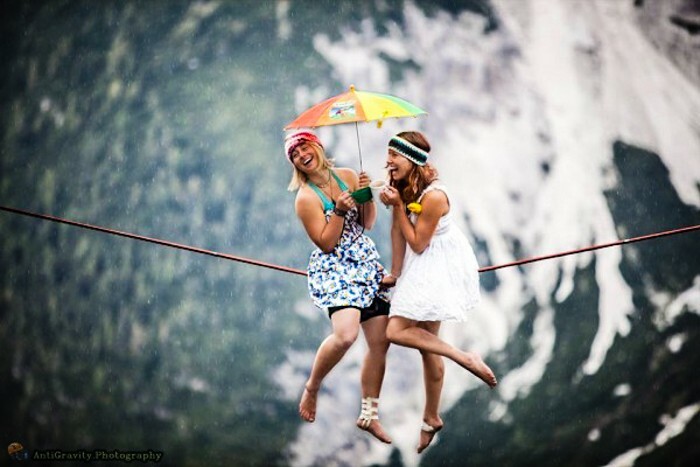 The ropes used are flat-shaped and slack: meaning they can bounce up and down and move side-to-side, allowing for more mobility. 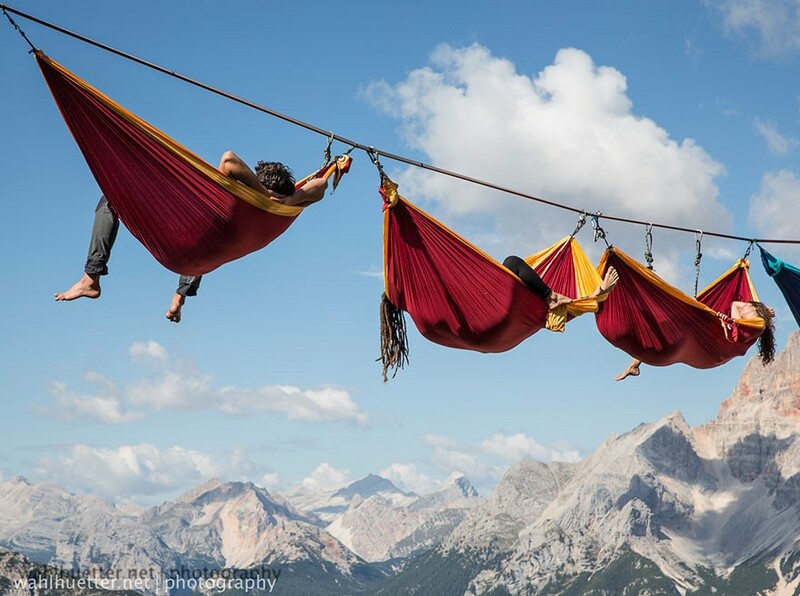 Besides hanging out on hammocks suspended hundreds of feet above the gorgeous mountain landscape, the festival also has amenities you'd find in a conventional gathering. 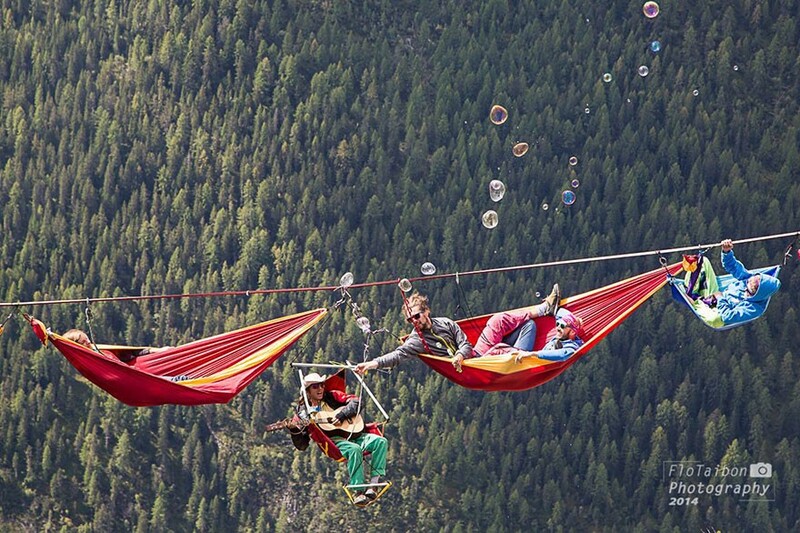 It includes a bar, a kitchen, jam sessions, a Yoga workshop, and even tandem paragliding flights. 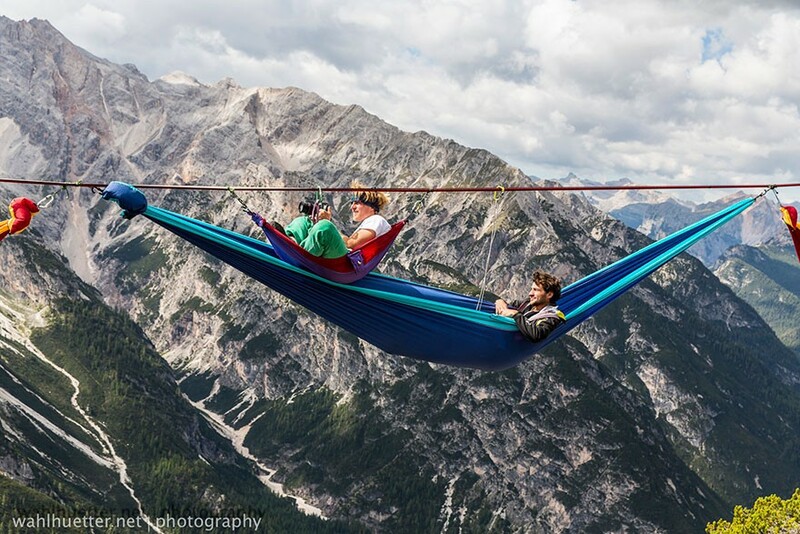 The first Highline Meeting took place in 2012; it was started by Alessandro d'Emilia and Armin Holzer, who wanted to share the spectacular scenery of Monte Piana with extreme sports professionals and enthusiasts from all over the world. 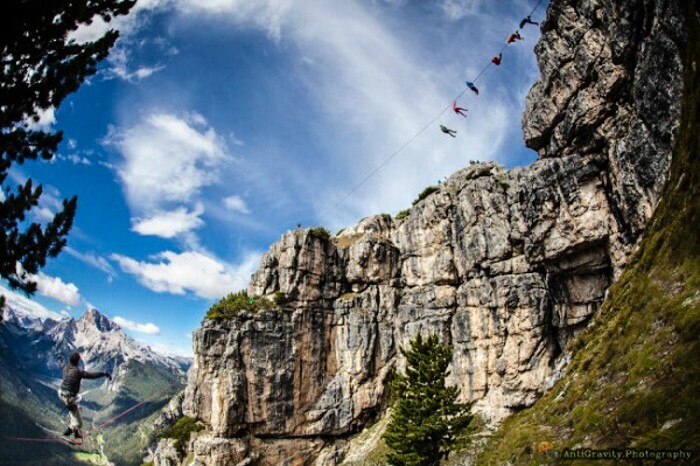 If you feel like getting your adrenaline pumping with other extreme sports enthusiasts, you can join this year's festival. It's scheduled to start on 2nd September and will last for a full week. For more information, visit the Highline Meeting website.